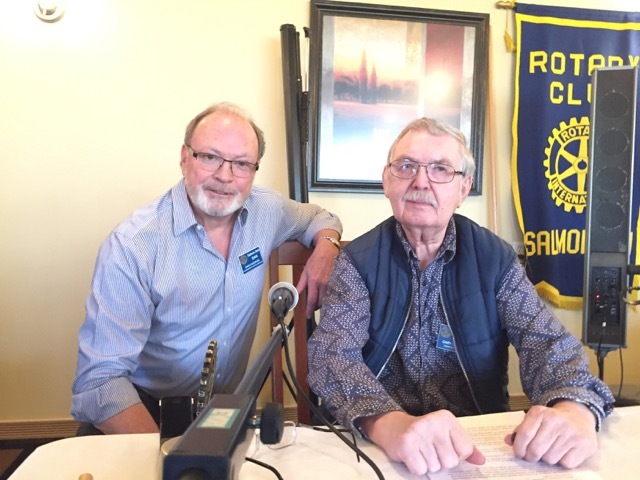 Longtime member Gary Carder presented his bio to the club on Monday. He told the fascinating story of his life working with Fisheries & Oceans for 25 years in Northern Canada, where he collected data on Arctic Char caught by Inuit in or around various communities in the NWT and Nunavut. At the end of the presentation, Dan Hudson presented Gary with his 20 year membership pin.